If you’ve added email to an iOS or Android device, you’ve probably seen IMAP mentioned often and POP rarely. Very few, if any, email apps on iOS allow you to add POP email accounts. Some Android email apps do, but not many there, either. If you’re wondering why you would want to add a POP email account to your mobile device, you can read about the difference between IMAP and POP IMAP vs. POP3: What Is It and Which One Should You Use? IMAP vs. POP3: What Is It and Which One Should You Use? If you have ever set up an email client or app, you will have certainly come across the terms POP and IMAP. Do you remember which one you chose and why? If you are not... Read More and the benefits of each. We’ve previously shown you how to add an email address in the Mail app How to Add and Remove Email Accounts on Mac, iPhone, and iPad How to Add and Remove Email Accounts on Mac, iPhone, and iPad It's also essential to know how to remove email addresses from your devices for accounts you no longer use. Read More on iOS devices. But the Mail app only handles IMAP email. 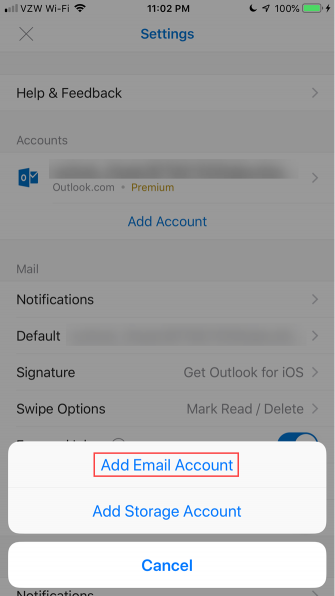 If you decide you want to add a POP email account to your iOS or Android device, so you can have your email locally on the device, we’ll show you how to use Outlook.com to do this. You’ll need a Microsoft email account to do this, like outlook.com, live.com, or hotmail.com. If you don’t have one, sign up for a Microsoft account. Go to Outlook.com and sign in with your Microsoft account. If you have an Office 365 subscription, it’s best to use the email address associated with your subscription. That way, you get the Premium version of Outlook.com which is ad-free and offers advanced security features. To make your POP email account available in Outlook for iOS or Android, you must add it as a connected account in Outlook.com. Then, Outlook will see the connected account and allow you to add it. In Outlook.com, click the Settings (gear) icon in the upper-right corner of the window. Then, click View all Outlook settings. On the Settings screen, click Mail on the left, Sync email in the middle, and then Other email accounts under Connected accounts on the right. You can add a Gmail account, but for our example, we’re going to add a personal email address at a custom domain. Gmail is best added as an IMAP account, which you can add to Outlook without going through Outlook.com. On the Connect your account page, enter a Display Name. This is the name recipients will see when they receive an email message from you. Then, enter the Email address and Password for the email account you want to connect to your Outlook.com account. If you’ve enabled two-factor authentication The Pros and Cons of Two-Factor Authentication Types and Methods The Pros and Cons of Two-Factor Authentication Types and Methods Two-factor authentication methods are not created equal. Some are demonstrably safer and more secure. Here's a look at the most common methods and which ones best meet your individual needs. 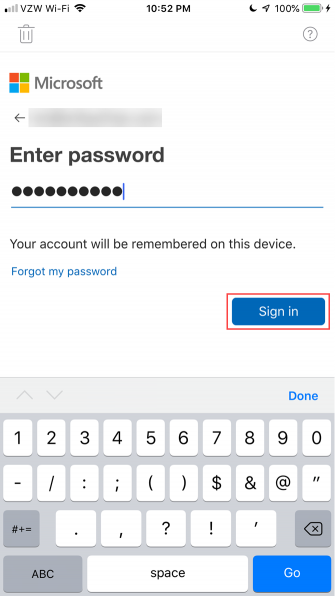 Read More (which is a good idea) for your connected email account, you must create an app password for that account to use in Outlook.com. On another tab in your browser, go to your email provider’s account security page and create an app password for Outlook.com. Then, return to the Outlook.com tab and enter that app password in the Password box on the Connect your account dialog box. 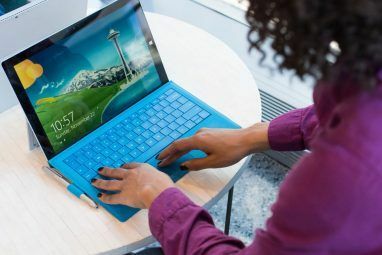 If you want to keep the email for your connected account separate from your Microsoft account emails, select Create a new folder for imported email, with subfolders like the account you’re connecting. The other option will combine all the emails from both accounts. If you’re adding an email address that’s not from a common or well-known email provider, you’ll probably have to manually enter the POP settings. Check the Manually configure account settings box. Under Choose your connection type, select POP/SMTP connection settings. Enter the Incoming and Outgoing server and port information. You can get this information from your provider, if you don’t already have it. 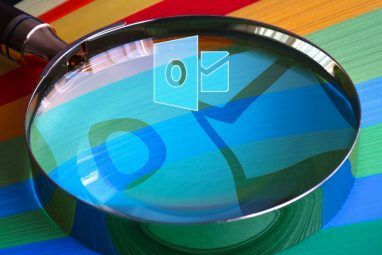 If you don’t want people seeing your Outlook.com address (or other Microsoft email address) when you send email using the connected account on Outlook.com, select Send email using your provider’s server. On the Sync email screen, click Save if you made any other changes to the settings. Then, click the Close (X) button. 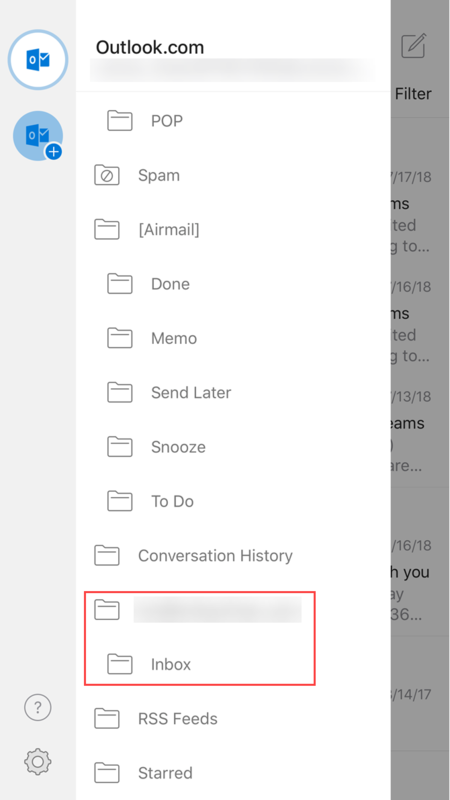 If you chose to store the email for your connected account in a separate folder, you’ll see the email address listed under Folders and the Inbox below the email address. Click Inbox to view the messages for the connected account. If your connected email address hasn’t appeared under Folders on the left, click your picture or initials in the upper-right and click sign out. Then, sign back in. 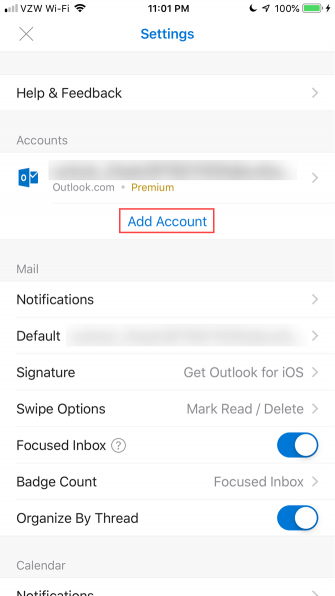 If you don’t have any email addresses in the Outlook for iOS app yet, you’ll see the Accounts Found screen when you get started in Outlook. All the accounts are selected by default. Deselect all the other accounts except the POP account you connected to Outlook.com. Tap Add Account. Then, enter your password on the next screen and tap Sign in. You’ll see your connected POP email account in the list of folders on the menu with the Inbox under the email address. Tap Inbox to see the email messages for that account. If you already have one or more email addresses in Outlook for iOS, you won’t see the Accounts Found screen. But you can add your connected POP email account in the settings. Tap the menu button in the upper-left to open the menu again, if it’s not open. Then, click the Settings (gear) icon in the lower-left, as shown in the image on the right above. On the Settings screen, under Accounts, tap Add Account. Then, tap Add Email Account. You’ll see the same screen shown on the left above and you can continue adding your connected POP email account from there. 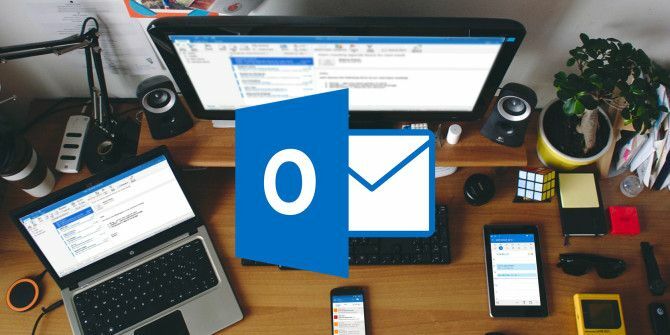 We’ve previously covered how to add email addresses to Outlook for Android How to Access Hotmail and Outlook on Your Android Device How to Access Hotmail and Outlook on Your Android Device You can access both Outlook and Hotmail email accounts on Android, and it's so easy. Read More . In Outlook, you should see the following screen showing what email accounts were found, like in Outlook for iOS. 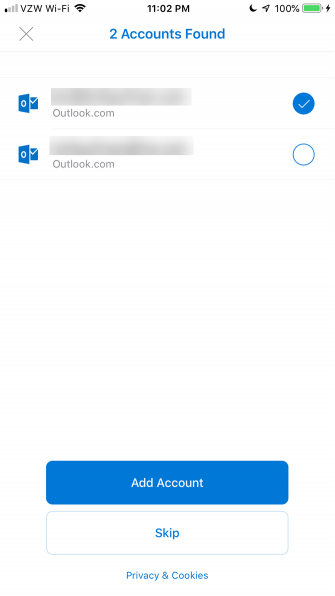 Select the connected POP email account you added to Outlook.com and tap Add Account. You’ll be asked if you want to add another account, but you can tap Skip for now. Your POP email account is now available in Outlook for Android. It may take a while for the messages to load, depending on how many are in your account. This solution in Outlook is a roundabout way of adding a POP email account in iOS and Android, but it’s a decent option. 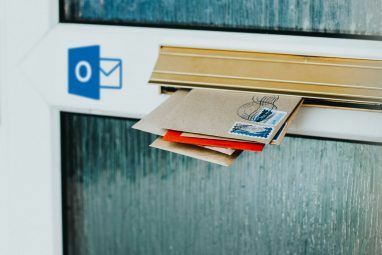 If you prefer to use other email apps, we have some options for Android The 10 Best Email Apps for Android, Compared The 10 Best Email Apps for Android, Compared Email on a smartphone? Use one of these excellent email apps for Android to make the experience more productive and enjoyable. Read More . And there’s always the standard Mail app for iOS iOS Mail.app Tips & Tricks for Emailing Like a Pro on Your iPhone iOS Mail.app Tips & Tricks for Emailing Like a Pro on Your iPhone Despite first appearances, Mail for iOS is much more powerful than it used to be. Read More . But, most of email apps for iOS and Android only allow IMAP email accounts. Explore more about: Microsoft Outlook, POP.